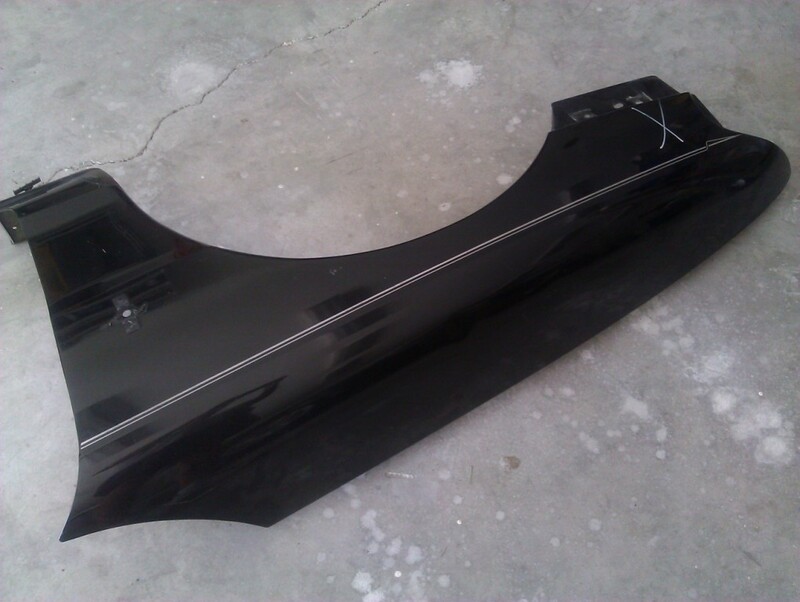 Upon getting the new fender home and trying it on the car, I could easily see the fit between the fender and the hood was much better. 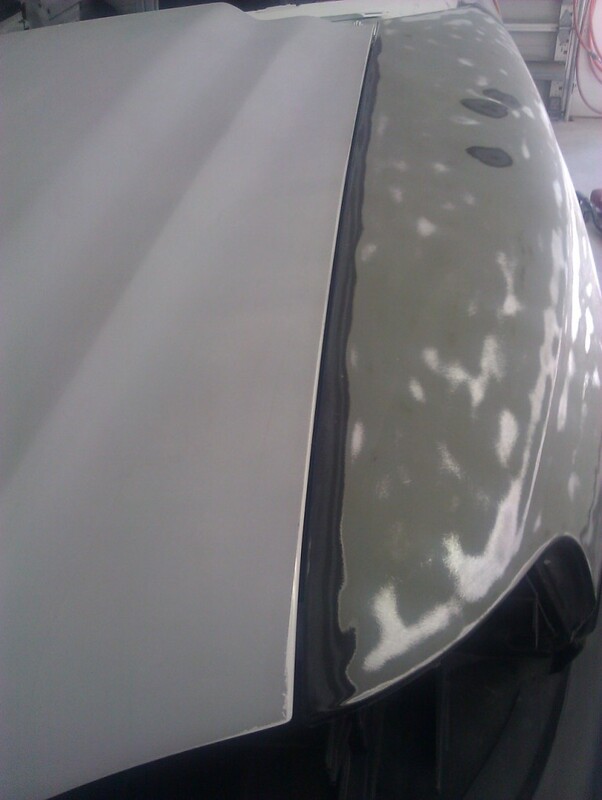 I stripped the paint from the fender and filled some small dents. 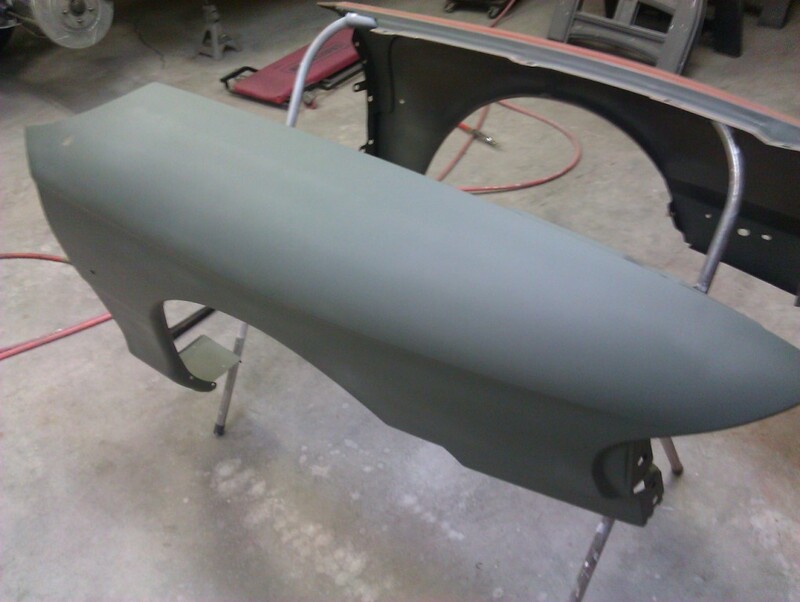 Gave it a couple of coats of primer and sanded it and it's ready to go. 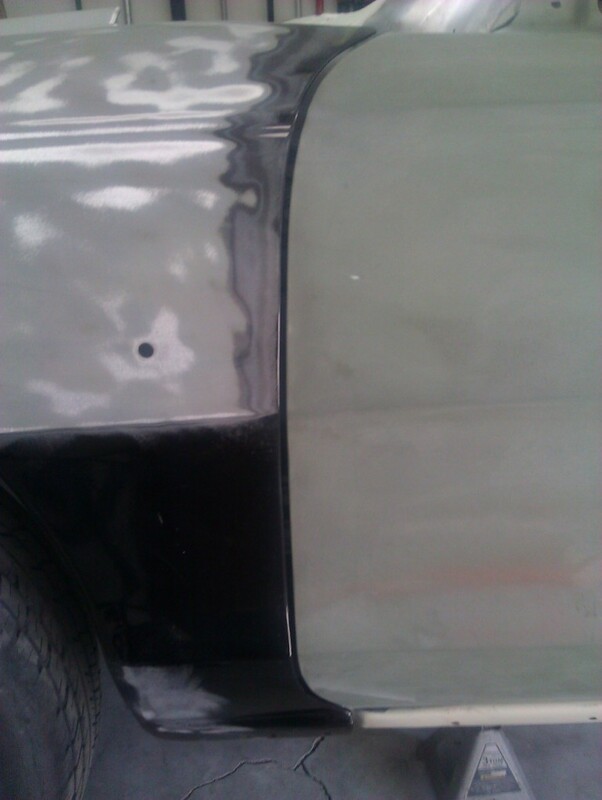 The passenger-side fender fit fine and just had a couple of small dents below the belt line, which I filled with spot-putty and primer. 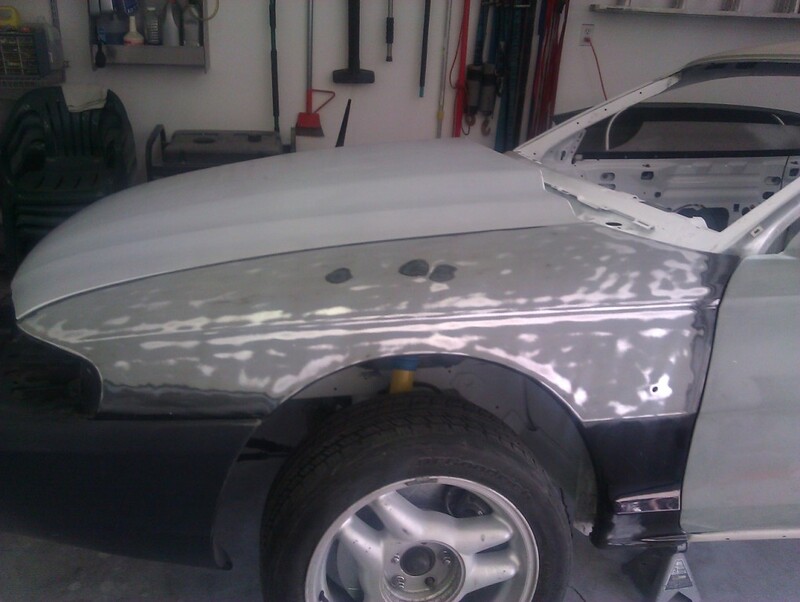 A couple of coats of primer later and some sanding and it too is ready. 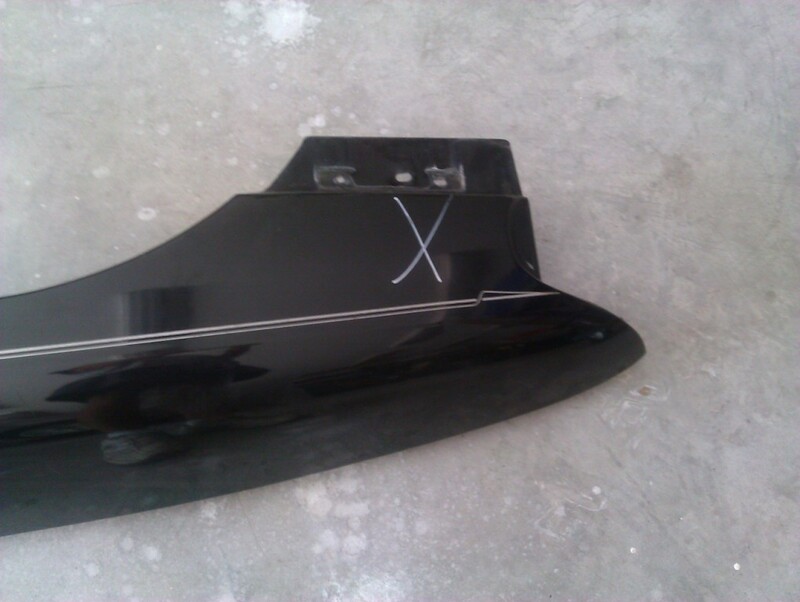 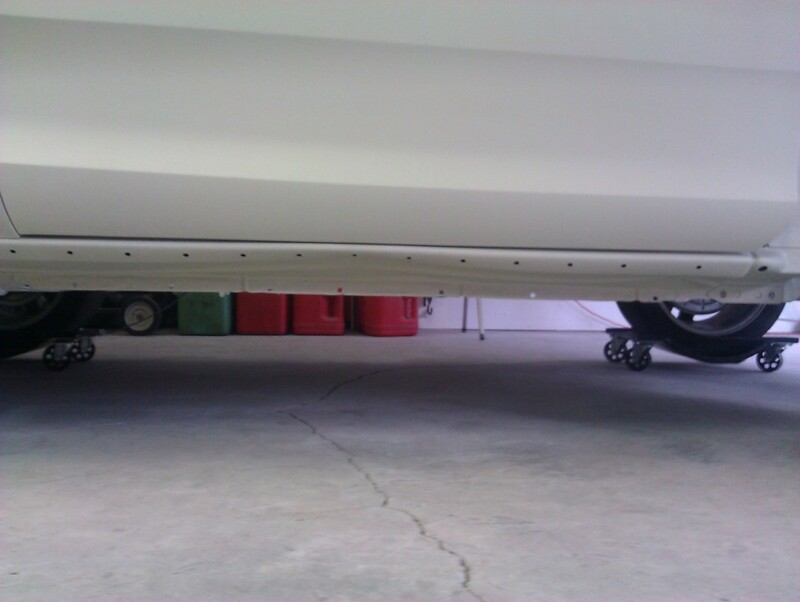 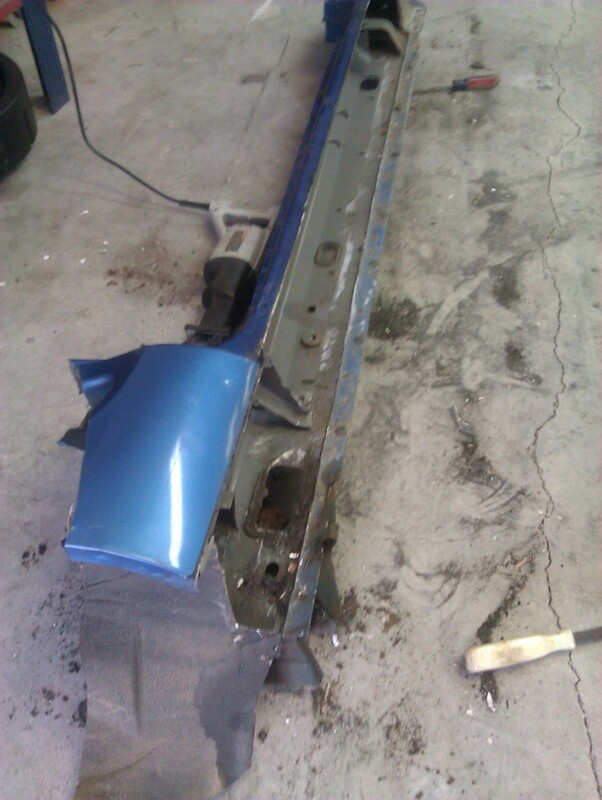 The passenger-side rocker panel had some major damage from improper jacking. 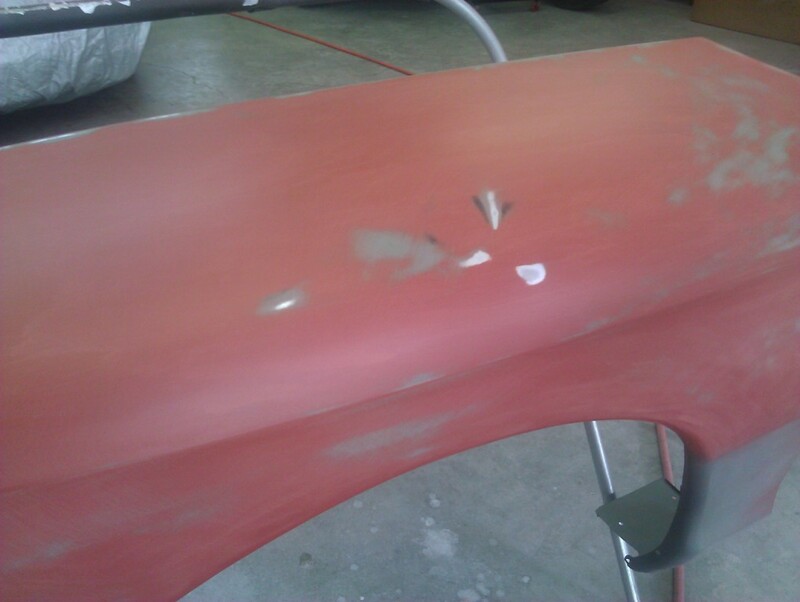 The plan for repairing the rocker will be to remove and replace the outer rocker skin. 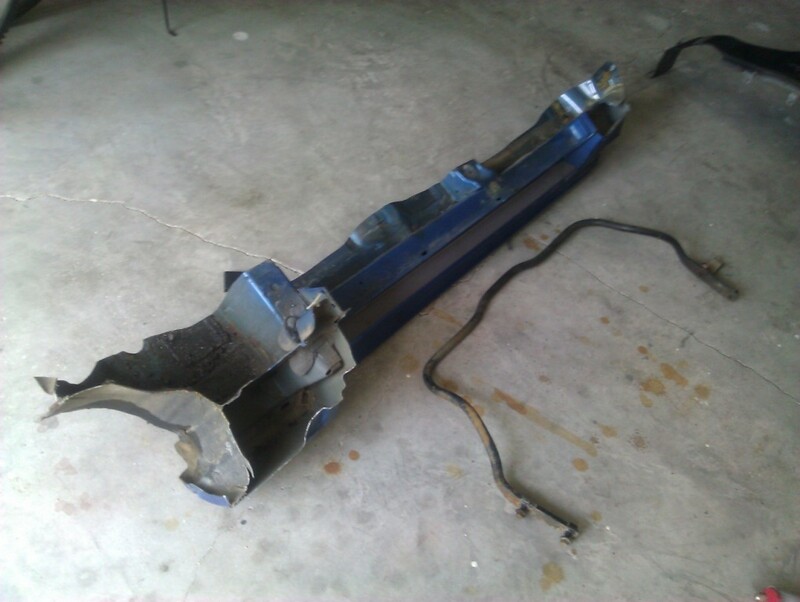 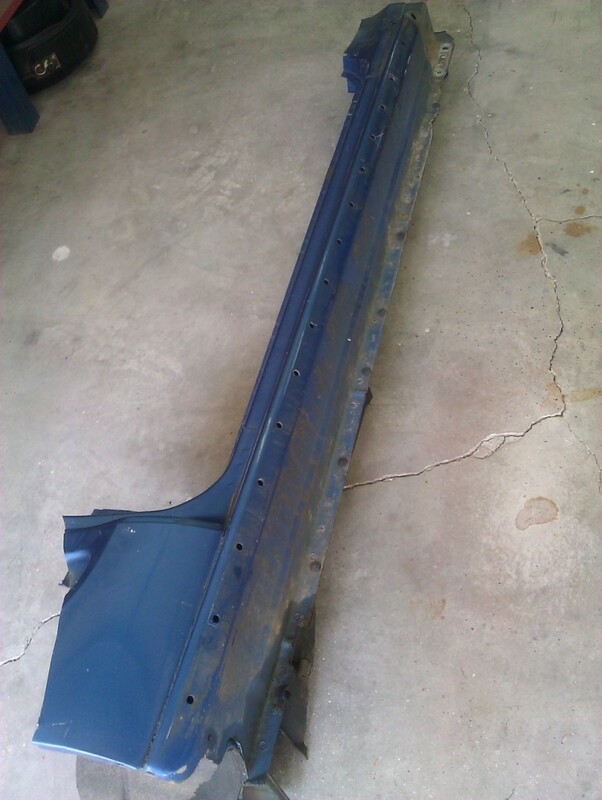 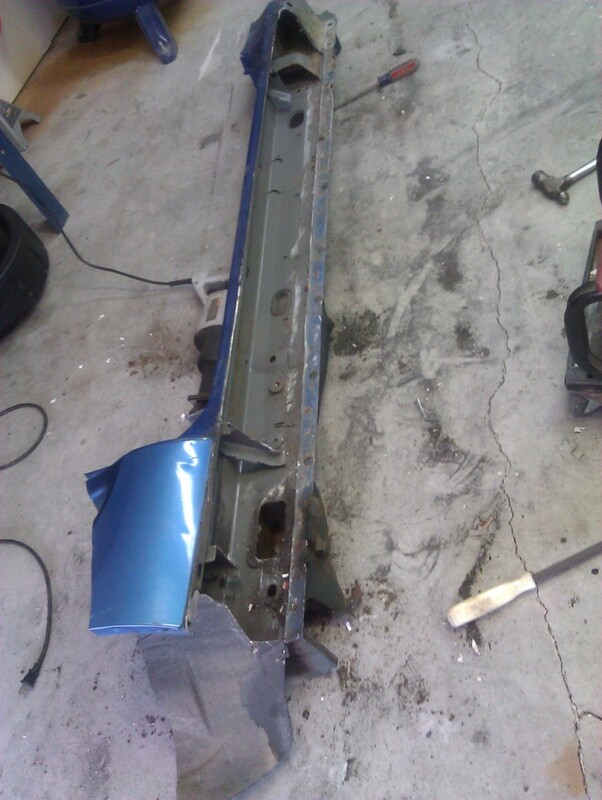 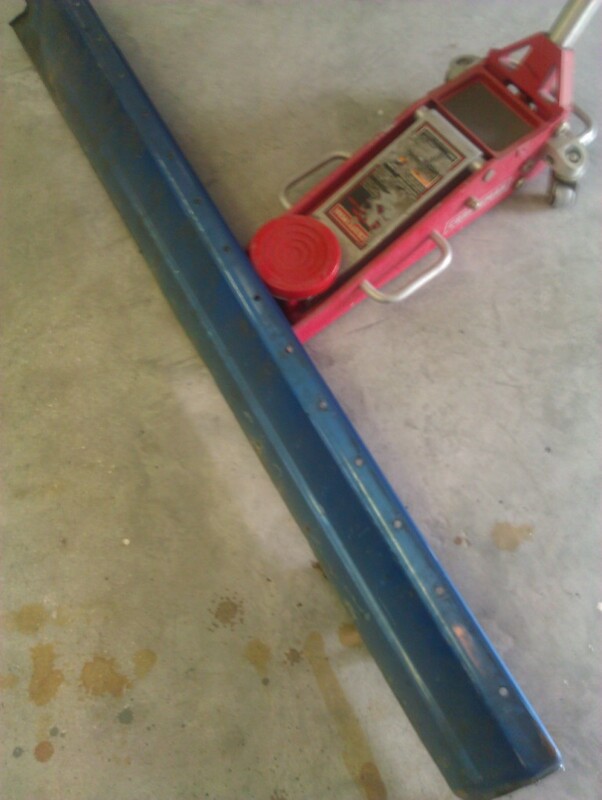 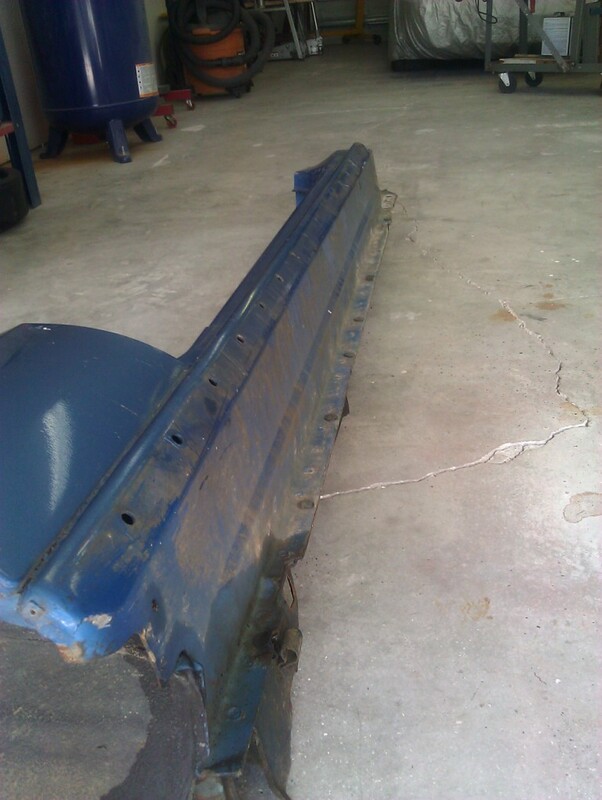 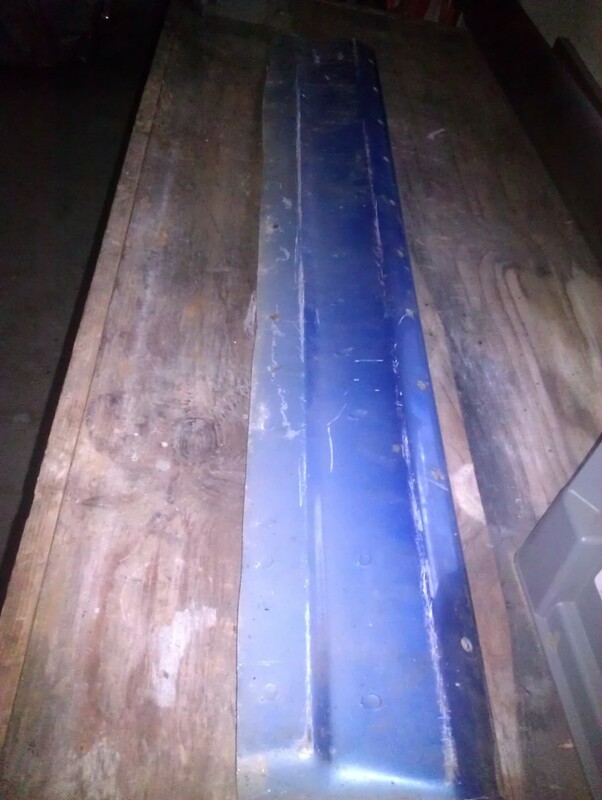 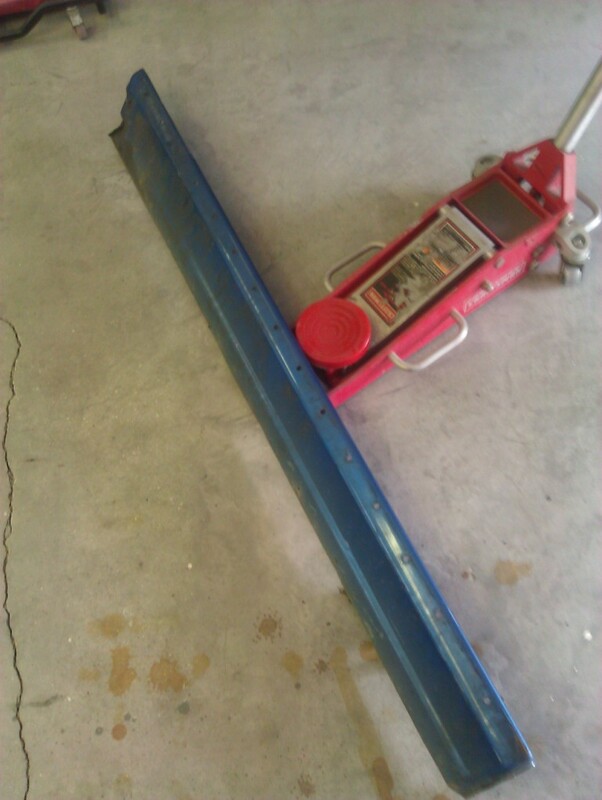 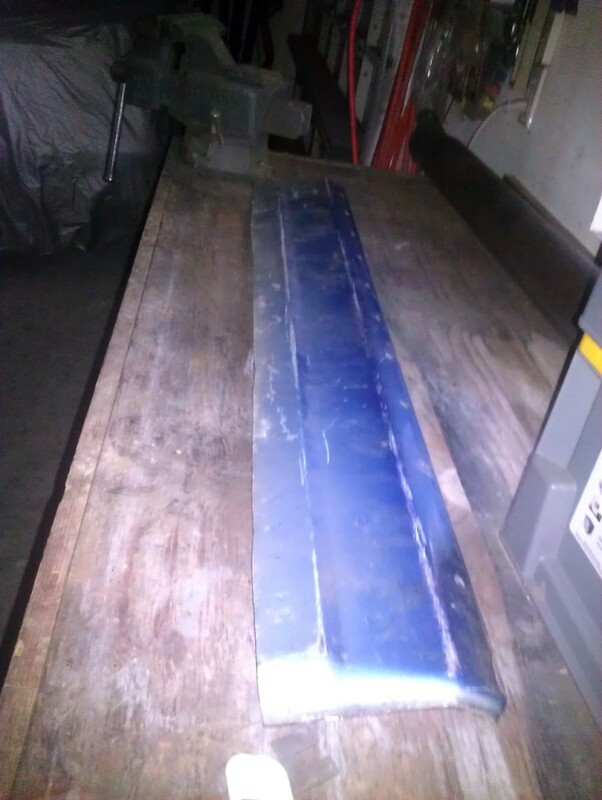 Since they are no longer available new, I purchased a entire inner and outer rocker panel assembly in good condition from a local wrecking yard. 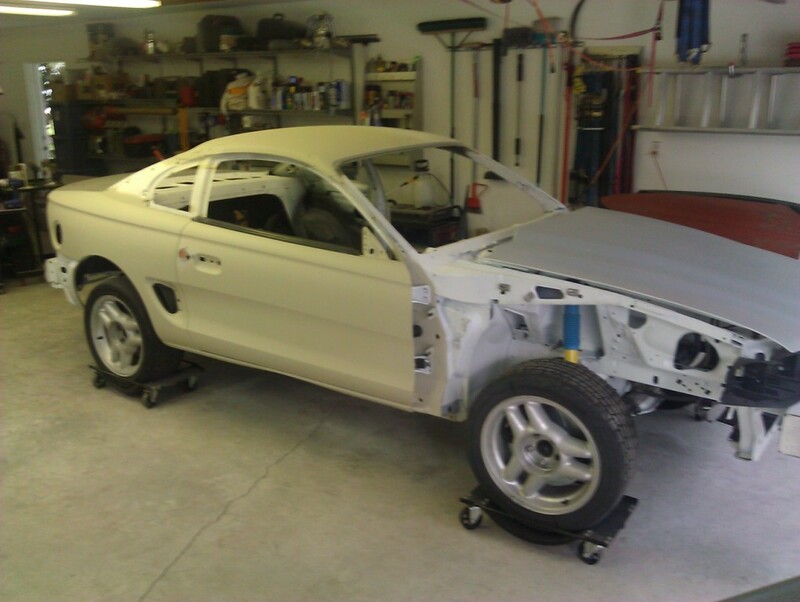 While it was nice and straight, I did make the mistake of having it removed from a Mustang Convertible, rather than a Coupe. 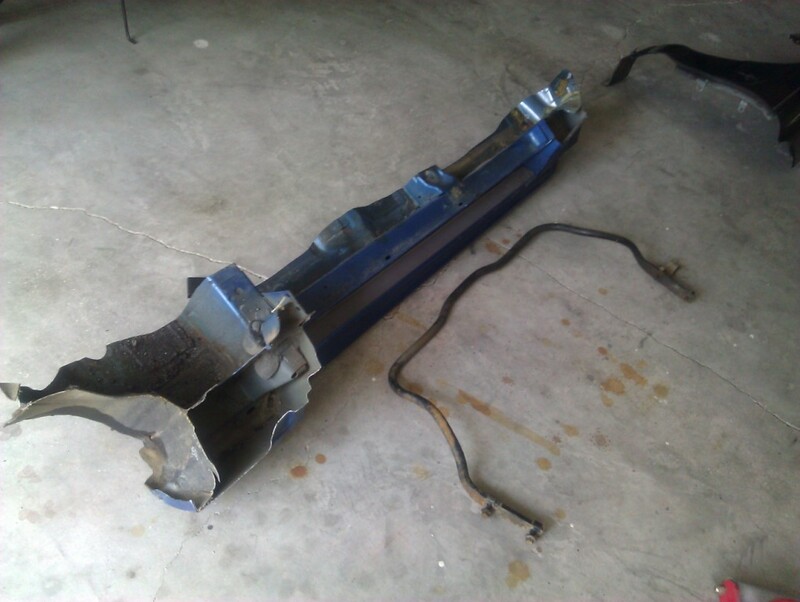 The Convertible rocker has an extra layer of steel spot-welded to the inside to make the rocker stronger to help compensate for the removal of the roof structure. 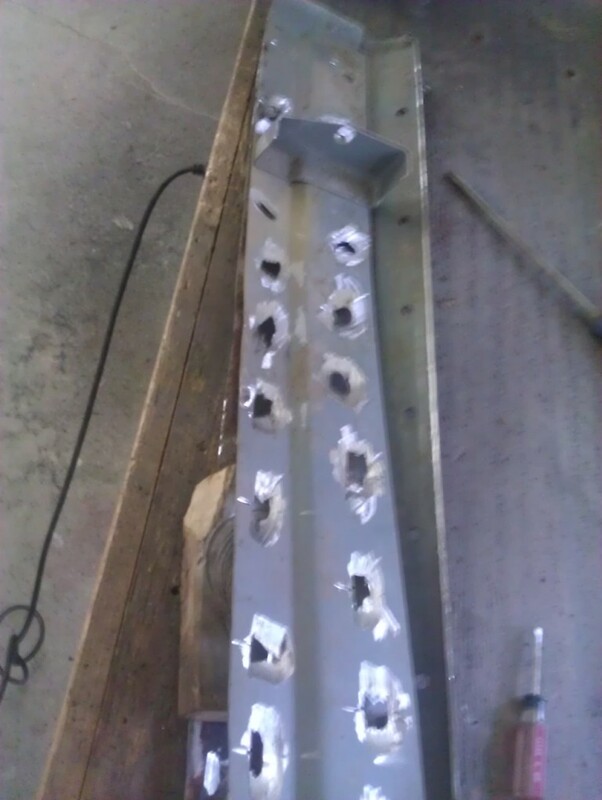 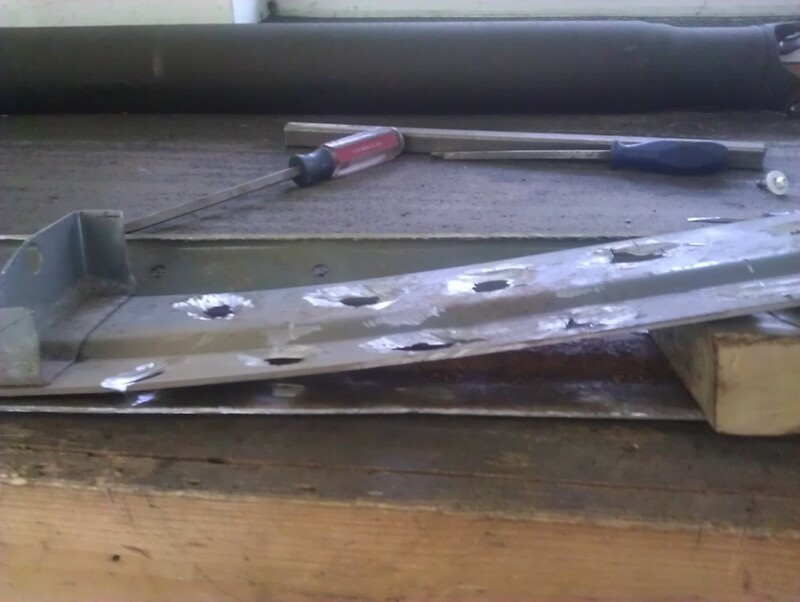 So, after removing the outer rocker skin, I had to grind off all the spot welds and separate the reinforcement plate from the outer rocker skin. 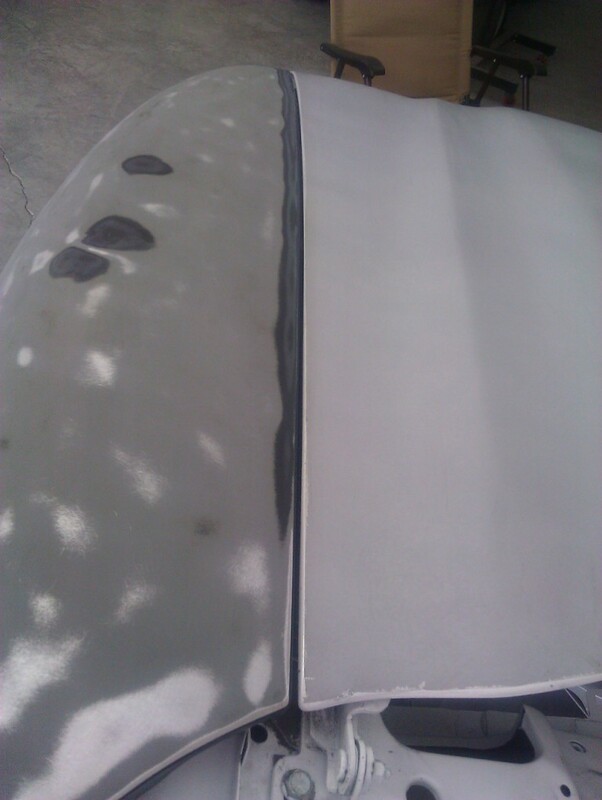 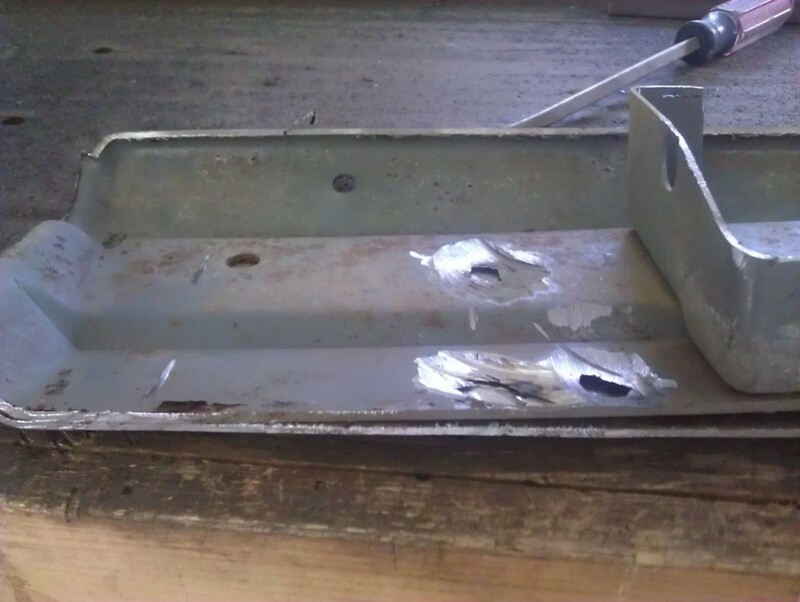 Then I found that trapped moisture between the two layers had caused major surface rust that had to be removed too. 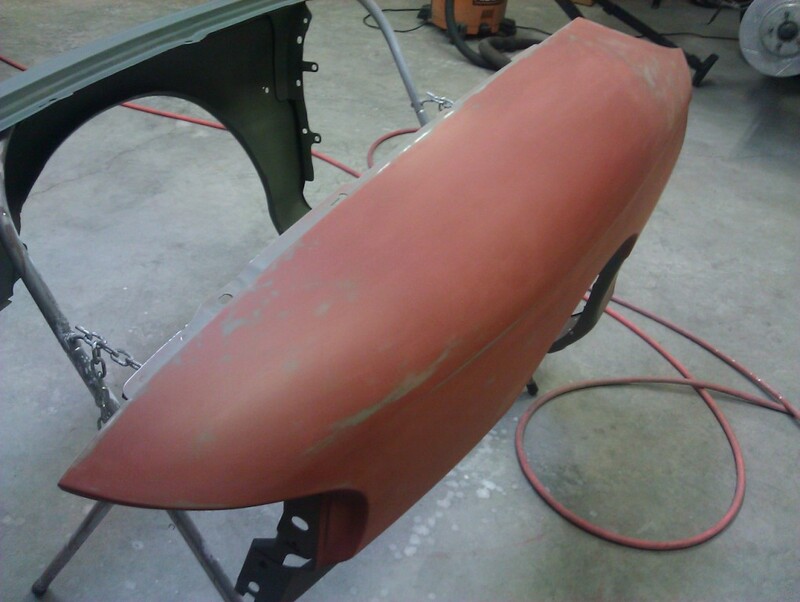 Once that was done and the inner skin in primer, I am ready to begin cutting out the factory rocker skin.